Ziv is a top down design with a classic lace pattern around the hem and an asymmetrical opening. 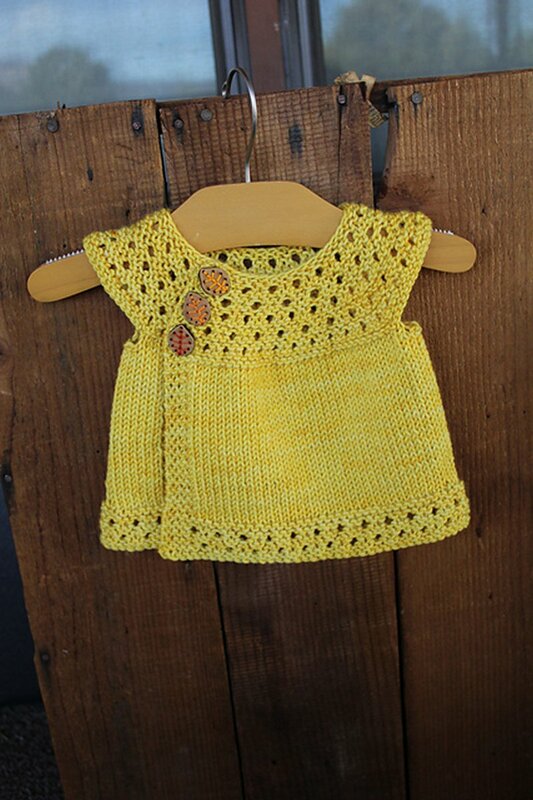 It is made to be worn loose and grow with your baby. Berroco Comfort Fall 2018 Collection Patterns - Veery - PDF DOWNLOAD is a similar pattern: 18 (4.5 sts. 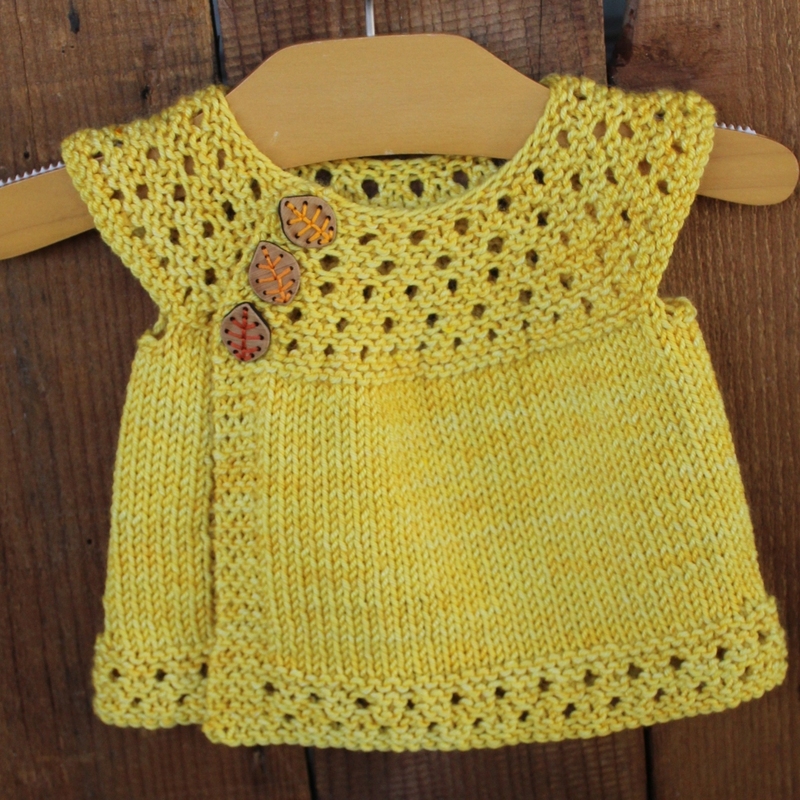 / inch) finished gauge, dresses and skirts garment, for babies and children, and worsted (19-20 sts/4 in) yarn gauge. You may also like Spud & Chloe Patterns - Be Tween Cardigan, which is another similar pattern: 18 (4.5 sts. / inch) finished gauge, for babies and children, and worsted (19-20 sts/4 in) yarn gauge. You may enjoy taking a look at the Anzula Cricket Bramby Shawl, Madelinetosh A.S.A.P. Midsomer Shawl, Malabrigo Mecha Claypool Cowl, and Anzula For Better or Worsted Royal Amethyst Shawl kits all using Taiga Hilliard Designs Patterns. Hopefully our suggested yarn options for Ziv - PDF DOWNLOAD can help you come up with your next exciting new project idea!